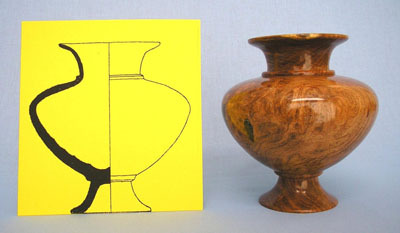 In this month’s issue of The Highland Woodturner, we feature a woodturner with a very unique approach to his turning inspiration. Bob Ibach studied Palestinian archaeology, and finds inspiration in the graceful forms of the pottery he found in his research. Take a look at his story and the pieces he created in this month’s Show Us Your Turning column. CLICK HERE to read the whole issue of The Highland Woodturner.